Headline: Educational Yet Very Fun! 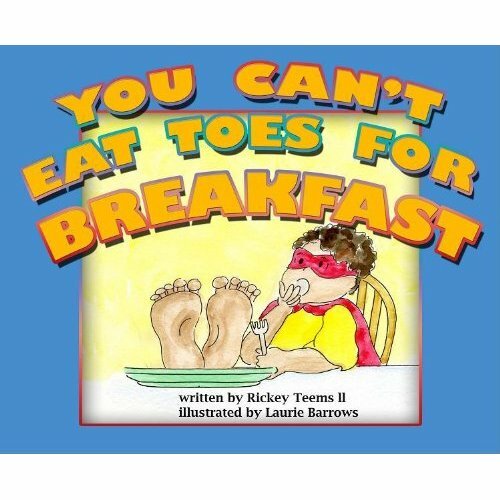 As a preschool teacher I am always on the lookout for books that are age-appropriate, educational, and will keep the children’s attention and You Can’t Eat Toes For Breakfast by Rickey Teems II, is a book that my class would definitely love! George mistakenly hears “toes” instead of “toast” when his mother tries to serve him breakfast and that begins an exploration of various body parts and why they cannot be eaten. Rickey Teems II has written a children’s book that even an adult will find hilarious and can appreciate the message that is being taught. And, as a teacher I can easily think of complete lessons I could plan around You Can’t Eat Toes For Breakfast. As an added bonus, the illustrations are colorful and also very well-done. This book is an all-around winner. Well done Mr. Teems! Headline: What Year Is It? What if you woke up one morning and heard that hip hop had been banned? What if you woke up one morning and heard that our classrooms were going back to being segregated? What if you woke up one morning and heard that concentration camps were coming to America and the police would be putting all African-Americans into them? What if you woke up one morning and heard that all African-American athletes refused to participate in the Olympics? 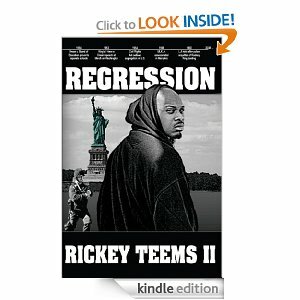 These series of what if’s and different scenarios are explored in the book Regression by Rickey Teems II. The above questions are reality for Regression’s main character, Aeneas. 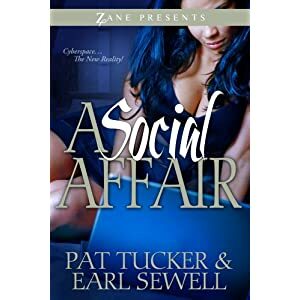 Aeneas goes through every rollercoaster possible to save his son, Naashon, from facing this new reality. Even though Regression is a work of fiction it could very easily be our reality if our society continues down the path we are currently headed. Regression has it all: action, love, an example of what a parent is willing to sacrifice, plus it opens a dialogue about serious societal issues. Teems has written a thought-provoking piece of work and I would recommend that everyone read Regression.